Audible Approved Producer Caitlin Kelly recently appeared in an episode of ACX University and talked about the importance of vocal health. Her secret? A special tea that soothes her vocal chords. We invited Caitlin to share it with you today. The heat will relax and soothe the muscles in your throat. Use 4 tablespoons of apple cider vinegar, or however much you can stand (this stuff is strong for the uninitiated). I use Bragg, which is unfiltered and raw. Shake up that bottle, and dump it in the hot water. The sediment is good for you – it’s called “the mother,” and it’s said to help in a number of ways: aiding digestion, balancing the pH of the body, and supporting the immune system. I swear by it to care for my voice. Honey is a humectant, which means it retains moisture. It will coat your throat and protect it while you rest your voice. You might also try adding lemon juice. If you have mucus, the citric acid can help cut through it. A touch of cinnamon adds anti-inflammatory properties. Play around with the measurements. These are not hard and fast ratios or anything; just my own preference. Now, I’m going to be honest with you: this stuff smells like feet. But it will make your vocal folds so happy, you will see the strong smell as a small discomfort compared to the restorative effects of the tonic! What are some of your favorite tricks for resting and/or healing tired vocal folds? 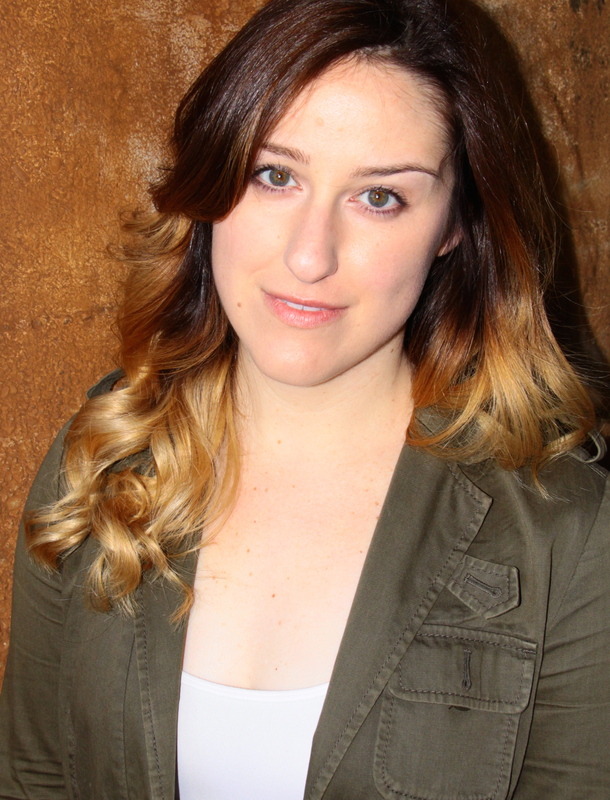 Caitlin Kelly has been doing voice over since 2009. She got started in VO while living in Tokyo, Japan. Since diving into audiobook narration in 2014, Caitlin has recorded over 35 books. Caitlin can be heard daily reading the news on smashd.co and weekly in the Time for Kids app. To hear more from Caitlin, check out her site www.CaitlinKellyVO.com. This entry was posted in Actors + Studio Pros and tagged ACX, acx university, Audiobook Creation Exchange, caitlin kelly, make audiobooks, vocal health. Bookmark the permalink. I’ll have to try that, Caitlin. I use Throat Coat tea, which uses slippery elm as the soother…and works just like it sounds! Also not much on flavor, but it works for me. Hi Pam! Thanks for the tip. I have heard many singers love throat coat. I need to try it! I’ve been drinking the smelly feet tea since I first heard Caitlyn’s ACXU broadcast. Once one gets past the smell and the liquid gets to work, it’s relief indeed for vocal cords needing rejuvenation. Thanks for sharing Caitlyn and thanks to ACXU for another excellent season of learning. Thanks for this…I also sleep with a steam machine at night, and the humidity helps enormously. I agree completely! Especially in drier seasons or locations. And if you don’t have the money to shell out or are traveling, hanging damp towels can help too! Since hearing of your recipe on ACX U-I tried the recipe and it’s fantastic! Like velvet on your throat. Thanks for sharing Caitlin. That’s a great word for hit. “Veltvet.” Sometimes you just need to give your voice a hug. I do a lot of singing, which requirements the same vocal health as for narrating. Daily vitamin C helps my voice, but it has to be a food-based supplement derived from citrus pulp, rather than a synthetic one. Also, sipping my way through a large glass of warm water about an hour before a singing session to hydrate the vocal cords helps. I try to avoid acidic foods before singing, too, as they repeat on me and irritate my throat. Goat’s milk is better than cow’s milk, as it produces less mucus. As for actually soothing the voice once it’s exhausted, the answer is to resist talking or singing for a while, reading a book, watching television, or sleeping! A homemade sage gargle can help a throat that’s sore as well as tired, or a spoonful of Manuka honey. Cider vinegar doesn’t soothe my throat at all, but makes it worse, even if the vinegar is of the raw organic variety. Cinnamon is good, though. I have a pinch of it in my porridge every morning. It is very warming and helps keep flu and colds away. There are so many amazing tips here Sarah! And what works for me won’t work for everyone. Thank you sharing. My pleasure, Caitlin. I’m glad you liked them.